Get 10% off your next order at e-outdoor with this exclusive discount code. Click on the ´Get Code´ button, and a pop-up window with the code will appear. Copy the code and visit e-outdoor.co.uk. 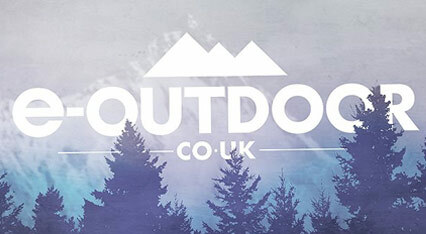 Take a look at their outdoor clothing and footwear or camping equipment. Find an item you like, and click on the ´Add to Bag´ button. When you click on this button, a new box with two options will appear - ´View Basket´ and ´Checkout´. If you choose to continue shopping, you can always come back to view your bag, just click on the shopping bag icon in the upper right corner of the site. When you open your bag, you´ll see an empty box where you can enter the offer code. Enter your code, click ´Apply´ and your discount will be applied immediately. Once you´re done shopping, proceed to payment. You can also use a PayPal Express Checkout. e-OUTDOOR is owned and run by White+Bishop Ltd and has been selling online since 2002. They offer all types of outdoor clothing and footwear, as well as camping equipment and gear. On their website, you´ll find all the top brands in the outdoor market, such as The North Face, Berghaus, Craghoppers, Merrell and many more. Here you´ll find the best quality equipment suitable for a casual stroll through the local woodlands, as well as for alpine and mountain adventures. Not to be used in conjunction with any other offer. Excludes sale items.